Laura Croft Go is a continuation of the Go series that Square Enix has started on mobile devices. The previous Go game was based on Hitman. I didn't know what to expect going into Laura Croft Go, but I'm always willing to check out new games on my iPhone. I do enough mobile gaming that I'm always trying to find the next game I can sink a bunch of time into. What I found was a puzzle game with a Laura Croft wrapping. You move Laura around the level on a series of nodes and try to figure out the correct order of actions that will get you to the end of the level. If the level indicators on the main screen are accurate I played through about two thirds of the game. In the end I stopped because of the difficultly curve. It was honestly way too easy for too long, then there were a bunch of levels that had a good difficulty set, and then they started getting really hard. I got stuck on a puzzle and the only way to progress was to pay $5 to unlock the in game guide. So, I was done. I don't think I would recommend this game unless you are a huge Tombraider fan. 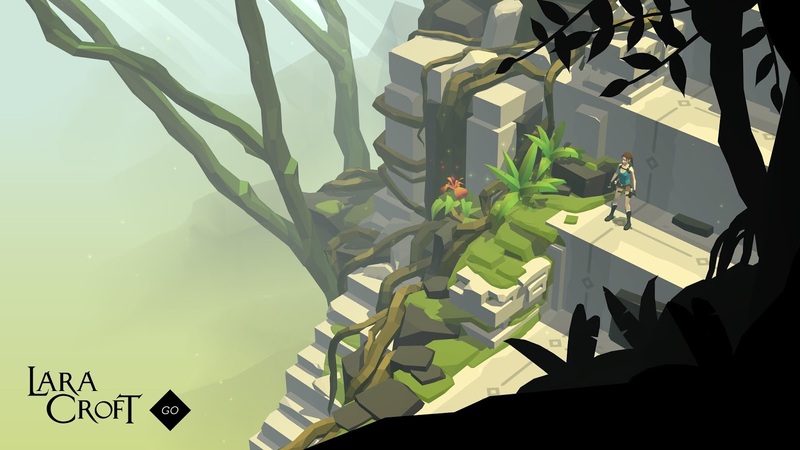 If you absolutely must experience all things Tombraider go right ahead and get Laura Croft Go. If not, you can safely skip it.